The Presidio County Commissioners Court, meeting in Presidio last Wednesday, approved a request by Tim Crowley to serve alcohol seven days a week until 2am on one of his properties. The location was listed as 18426 US Highway 90, outside the Marfa city limit just west of town. 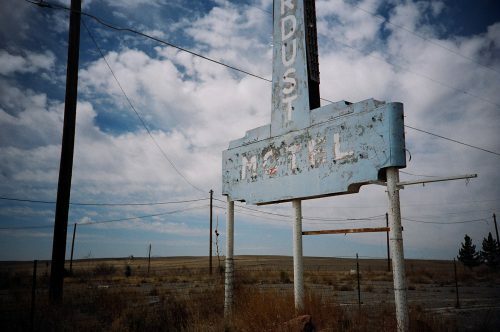 The property is defined by the iconic neon Stardust Marfa sign, where the former Stardust Motel stood before being razed some years ago. Late hours are not permitted within Marfa city limits – midnight on weekdays and Sunday and 1am on Saturdays – but can be approved on a case-by-case basis for land in unincorporated parts of Presidio County. The county has previously approved late hours for Cibolo Creek Ranch, and denied them for El Cosmico. Prior to the agenda item’s approval, Commissioner Brenda Bentley motioned “to table the item and bring it back to the next meeting in Marfa, so that people have a chance to say their peace,” rather than the court voting on it at a Presidio meeting 60 miles away, when the public had not been informed of the issue. 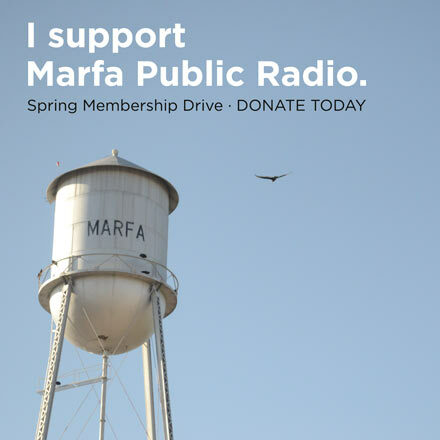 In response to the idea of facing a public meeting in Marfa, Crowley stated, “This is what the consumer wants. I don’t know if I’m up to the public beat up. If the Hotel [Saint George] had a hearing about neighbor’s public input, it would’ve never been built. It would’ve been a miserable experience for me.” Crowley added that if another of his projects, a potential hotel development in the city of Presidio, is brought before the public, the experience would likely be the same. Crowley said later that the judge let him choose the meeting date that best fit his schedule, but he didn’t know that the meeting was to be held in Presidio. Commissioner Bentley’s motion to table the item until a Marfa meeting failed for lack of a second. Though there is potential to add a hotel, that is not in the project’s first phase, so visitors drinking until 2am would then need to drive or arrange for rides from the western side of the city limits across town to residences or hotels available in Marfa city limits or beyond. Contacted Tuesday morning, Sheriff Danny Dominguez said he was contacted by County Attorney Ponton, but doesn’t recall his comments to Ponton. He also said that the people born and raised in Marfa should have been given the courtesy of asking questions and expressing their views on this issue. In 2016 Sheriff Dominguez spoke strongly against El Cosmico extending to late hours because it “would add a strain to his department,” explaining that it “doesn’t sit right” with him. Commissioner Cabezuela motioned to approve the late hours request, and Commissioner Knight seconded. Commissioners Aranda, Cabezuela, Knight, and Judge Guevara approved the measure, with Commissioner Bentley dissenting. While the county granted the late hours provision, Crowley still must apply to the Texas Alcoholic Beverage Commission for a beer, wine, and liquor on-premise license. The Presidio County Commissioner’s Court is set to convene again at 9:30am on Wednesday, February 6 in Marfa. This entry was posted in KRTS News and tagged Presidio County, Presidio County Commissioners, TABC, Tim Crowley. Bookmark the permalink.